Is this not the cutest color combo for an Eastery card? 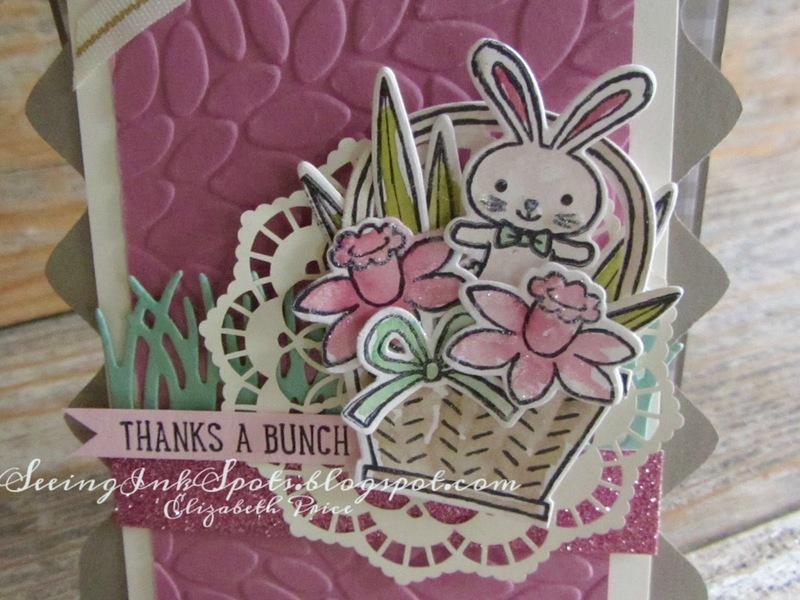 And, I must say one of the cutest Spring sets ever is Basket Bunch. What makes it so stinking' cute are all the line art images, but what makes it so awesome are the framelits. 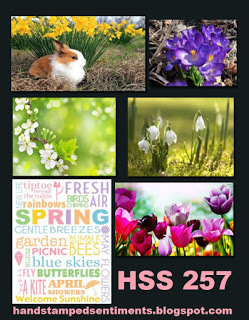 Yes, all the images need no fussy cutting because there is a framelit for each one. 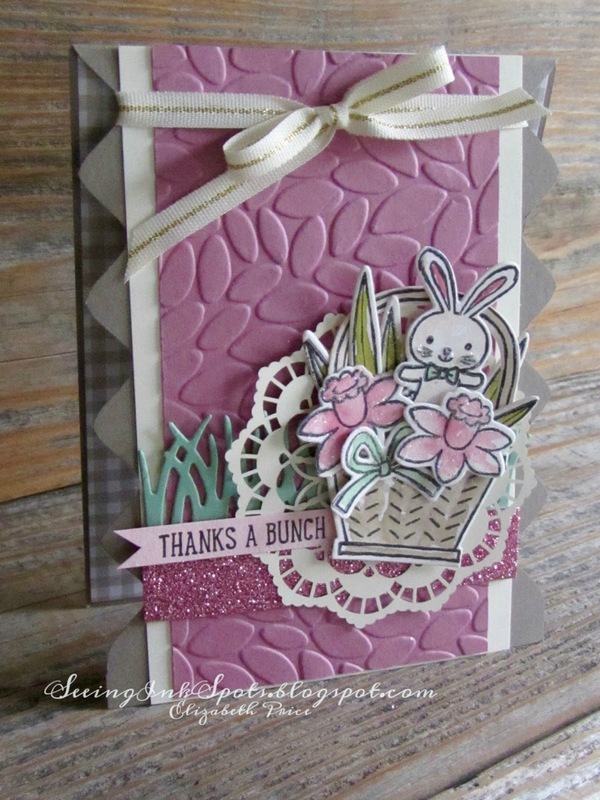 For this card I added a Sweet Sugarplum panel embossed with the Petal Burst embossing folder to back an adorable spring filled basket. 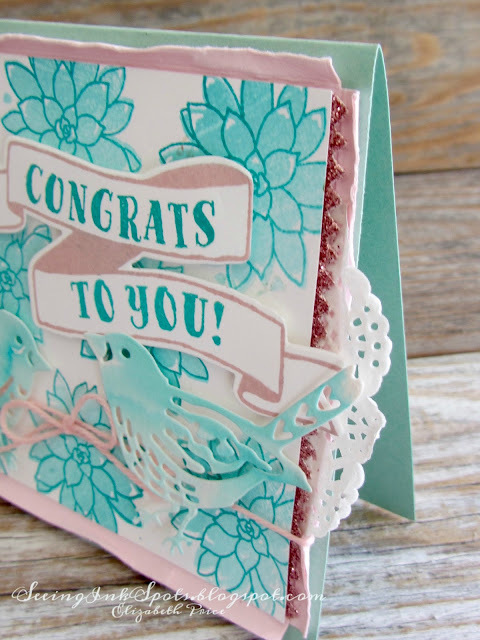 Layered behind the basket is a Lace Doily; one of the new ones from the Occasions Catalog. They are a must have accessory. The're a great bargain at (24) for $4.50. 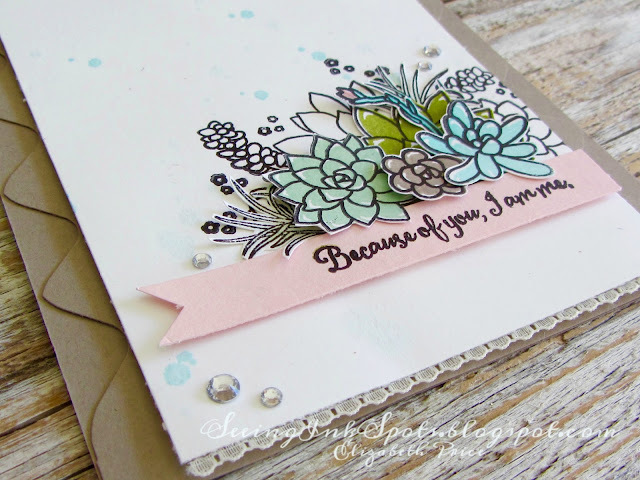 Are you wondering about the glitter paper? It's a strip of Sweet Sugarplum Glimmer Paper which you can get as a Sale-a-Bration reward stating today, February 21st! It comes in a pack of (12) sheets. Four each of Sweet Sugarplum, Bermuda Bay, and Mint Macaron. 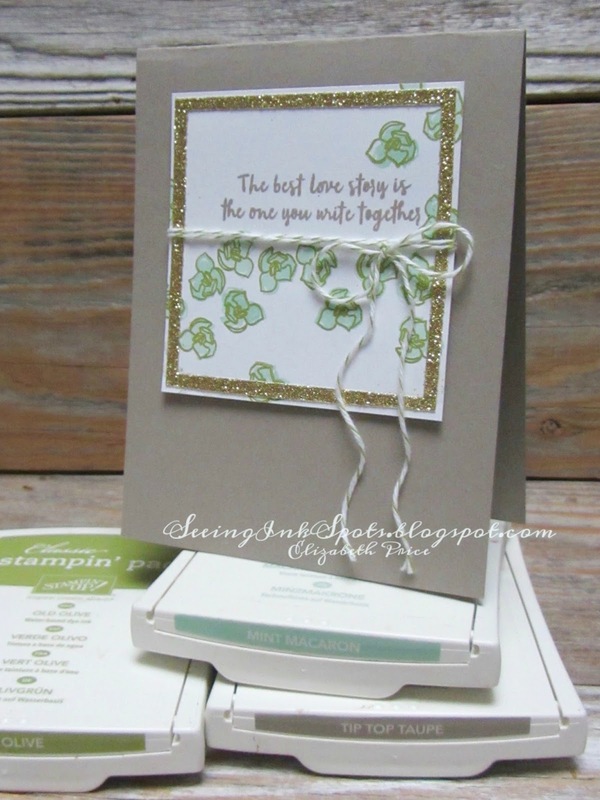 Be sure to check out what all of the designers have created at Hand Stamped Sentiments using this color combination. 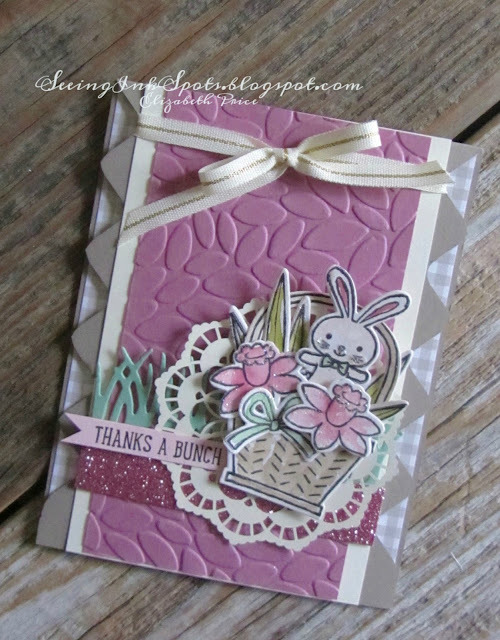 A big "thank you" shout out for stopping by! 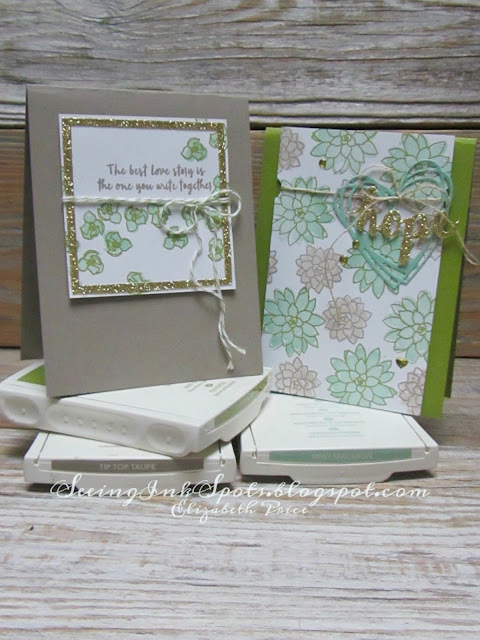 Mint, olive, taupe, white, and gold make up the perfect color palette for some sweet succulent cards. 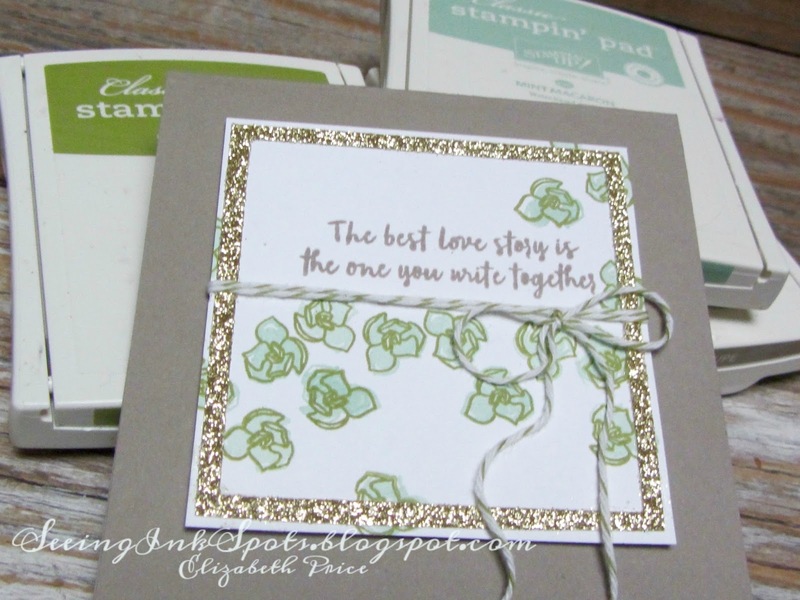 Mint Macaron and Old Olive are great ink pad colors for stampin' the two step stamps in the Oh So Succulent set. 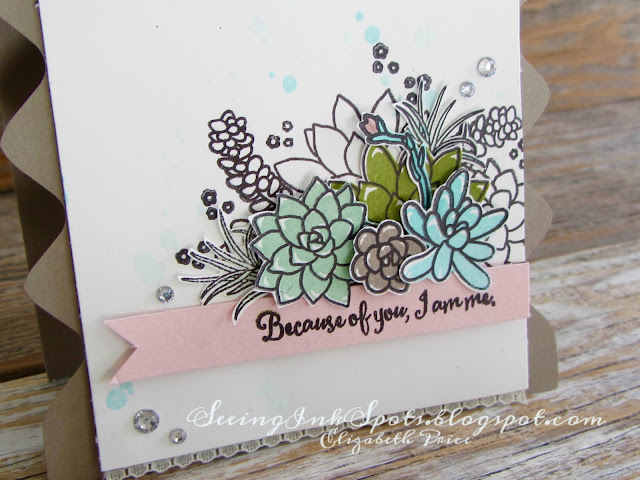 For the taupe succulents I used the second and third generations of stamped off images of Tip Top Taupe to get a perfect match for the layered images. 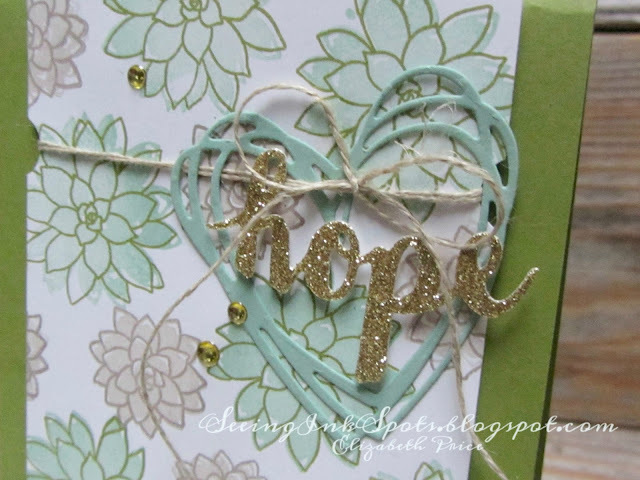 The addition of Metallic Enamel Shapes and Gold Glimmer Paper take the cards up a notch from nice to super fancy. Now you're off to check out what Julie has to share with us. It's totally awesome and I'm sure you will love her post. 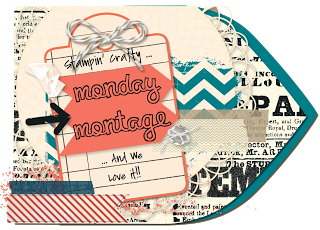 Have a most fabulous week and make time to stamp and share! 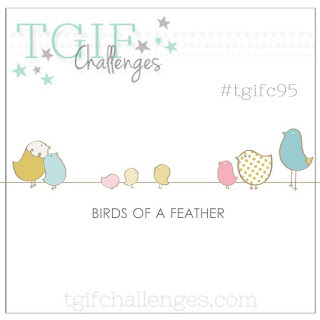 Is this the cutest theme challenge or what? You should see all the fabulous things created by the entire design team at TGIF. 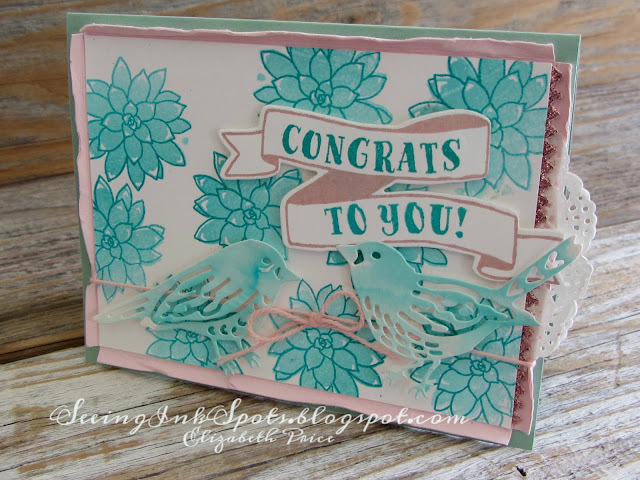 Anyone can add their link to the challenge, so whip a card or project with a bird or two or three or more and post it on our site. For this spring styled wedding card I add two watercolored birds from the Birds and Blooms Thinlit set to a So Succulent stamped background. The greeting was super easy to make since I stamped images from Banners For You and cut it out with the Bunch of Banners Framelits--you've gotta love those bundles. 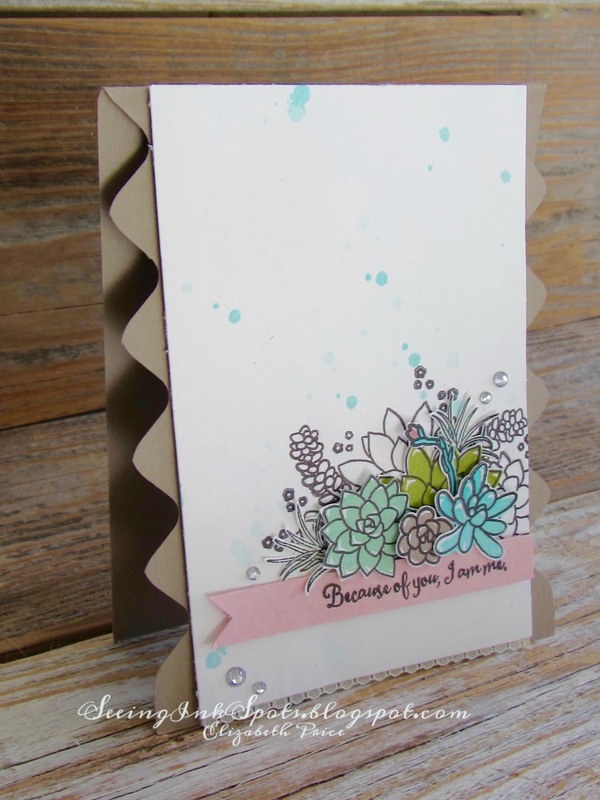 My most favorite touch is the Blushing Bride Glimmer Paper trim. To make that I used the Mini Treat Bag Thinlits. Cute don't you think?